The Commonwealth of Puerto Rico is a modern, progressive and civilized vacation destination that maintains the charm and hospitality of days gone by. It is a territory of the United States located in the northeastern Caribbean, east of the Dominican Republic and west of the U.S. and British Virgin Islands. Couples searching for the right place to have their Caribbean wedding and honeymoon will find that Puerto Rico is an exotic location with miles of white sand beaches, plus an unbelievable rain forest and mountains. A Puerto Rico wedding may be just the right place for you and your guests. Puerto Rico is for those who enjoy gorgeous Caribbean wedding resorts and hotels, beautiful beaches, private retreats, and a lot more excitement than is offered by some of the smaller islands in the Caribbean. There are over 12,000 hotel rooms to choose from, half of which are located in the San Juan area. Couples planning their Caribbean wedding in Puerto Rico and their guests will also enjoy the nightlife and the casinos which are located in many of the hotels around the island. They will also eventually gravitate to the Plaza Las Americas in Hato Rey, the largest shopping mall in the Caribbean with 190 stores. For those in search of outdoor activities during their Puerto Rico wedding trip, there are spectacular surfing waves, a challenging golf course, wide sunbathing beaches stretching for miles, tennis, fishing, kayaking, scuba diving and snorkeling around coral reefs that are home to schools of tropical fish, horseback riding, windsurfing and parasailing. 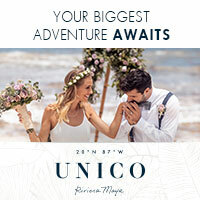 There is so much history to be discovered and so many things to see and do that many couples and guests attending a Caribbean wedding in Puerto Rico return to experience all the activities that they could not squeeze into their initial visit. Let Caribbean Weddings' Wedding Specialists assist you in selecting the right accommodations for you and your guests as well as suggest the perfect wedding venue and guest activities. We'll make sure your Caribbean wedding is your dream come true.